Fans of the Innsbrook After Hours concert series will now be able to enjoy shows for just a little bit longer. 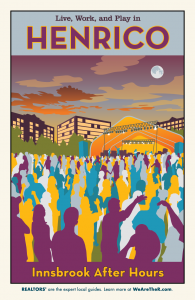 The Henrico Board of Supervisors recently approved a plan permitting concerts to end at 10 p.m. on non-school nights – thirty minutes more than the previous allowance. Capacity at the venue will also grow from 6,500 to 8,500 people this year. You may not know that the After Hours series donates 100% of profits to two non-profit organizations – The National Constitution Plaque Initiative of the American Constitution Spirit Foundation and the Innsbrook Foundation. The National Constitution Plaque Initiative is a program that seeks to place bronze copies of the Constitution and Bill of Rights in America’s schools. Posing the question on their site, “if you don’t know much about the Constitution or Bill of Rights, and haven’t ever looked at either, how can you do a good job defending either?” the Plaque Initiative hopes to teach students to defend their rights as listed in the Constitution and Bill of Rights. The Innsbrook Foundation, on the other hand, is an organized, year-round schedule of over 100 activities and events offering everything from volleyball and kickball leagues to the annual Richmond Corporate Games, the Innsbrook Classic Golf Tournament, and the Innsbrook Pumpkin Palooza, as well as numerous clubs and committees, craft shows, and walks and runs. Featuring a packed concert schedule every summer, a food court offering Papa Johns, Deep Run Roadhouse, Tarrant’s West, The Grapevine Restaurant, Two Kings, and Pepsi, fantastic ticket prices and a great cause backing the entire series, Innsbrook After Hours is a wonderful event that’s begging your ears to enjoy the acts it has to offer. For more information, visit innsbrookafterhours.com. 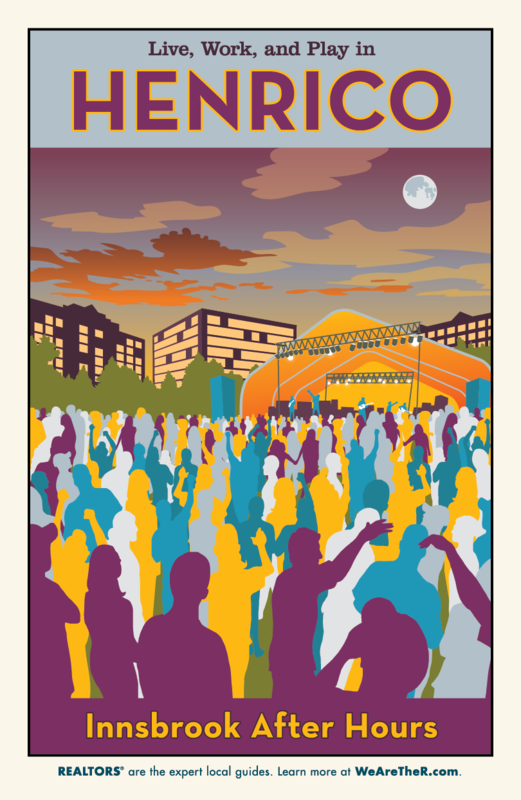 To download the 11×17 #RVAGuides Henrico poster featuring Innsbrook After Hours, click here.